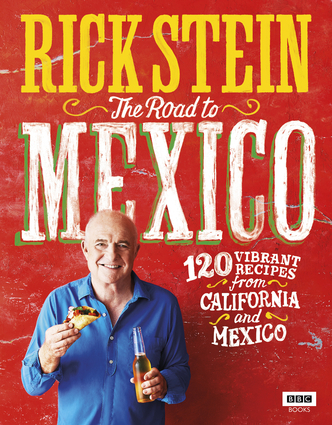 Rick Stein brings his unrivaled enthusiasm and trusted expertise to the fresh, flavorful food of Mexico and California. No one better captures the food essence of a country and brings the best recipes into our kitchens like Rick. Starting in San Francisco and Baja California, and working his way down to the southernmost tip of Mexico, Rick Stein cooks, eats and experiences Mexican food at its very best and most diverse. Whether it's the farmers' markets of California, full of sourdough bread, new season garlic and a profusion of citrus fruit; the prawns, snapper and tuna of the Pacific or the glorious street food and colorful markets of Mexico with their avocados, chillies, tomatillos, cheese and corn, this is a part of the world packed with natural, healthy and satisfying ingredients. Showcasing Rick's authentic style, with recipes like Ensenada Fish Tacos with Chilli; Deep Fried Coconut Prawns; and Slow Cooked Pork Tacos; this cookbook will encourage anyone to try out the bold food of these sunshine states. Includes metric measures. Rick Stein is a chef, restaurateur, television host, and author. His other titles include Rick Stein's Far Eastern Odyssey, Rick Stein's French Odyssey, and Rick Stein's Seafood, which won the coveted James Beard Foundation Cookbook of the Year Award.